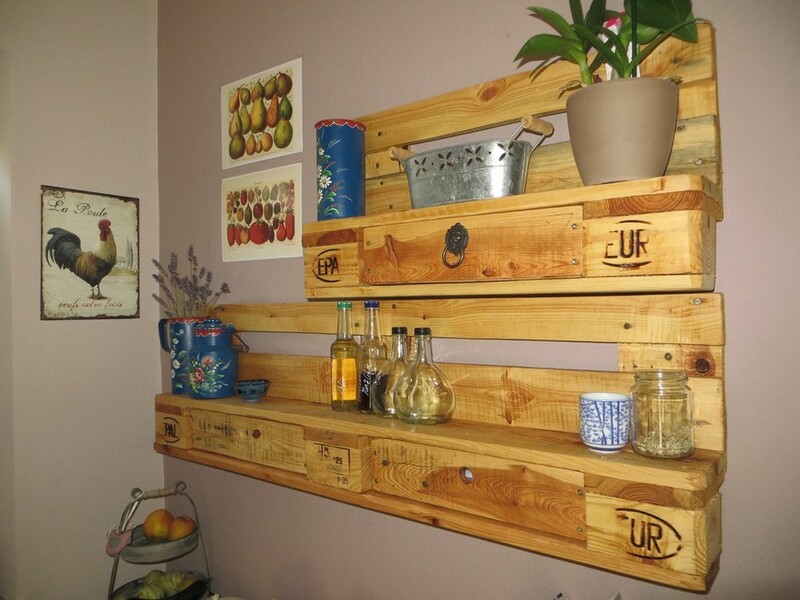 Okay, from a long time I was having many comments from our female surfers, they were of the view that we must bring some woman oriented ideas too that are made using the wood pallet. 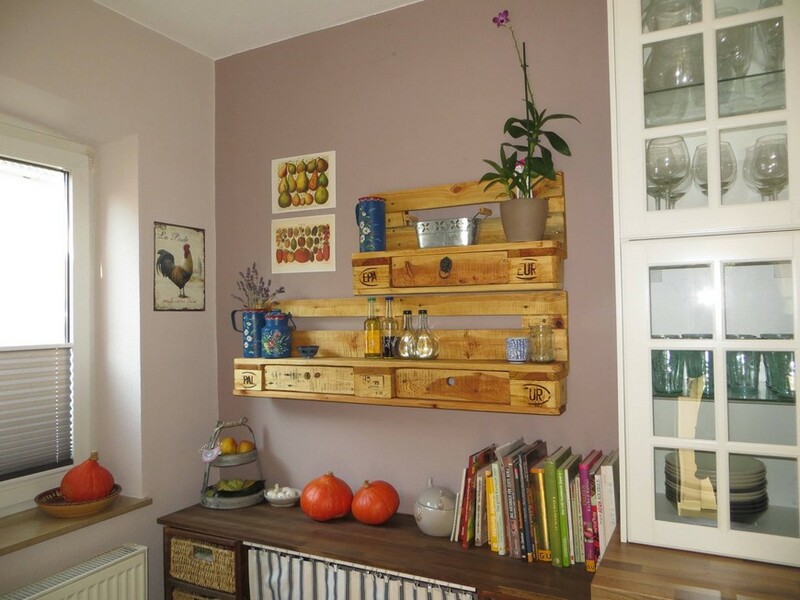 So this isn’t like that, we do bring many ideas that are especially meant to serve the adorable ladies like kitchen cabinets, closets, pallet wall shelves, kitchen islands and many more. 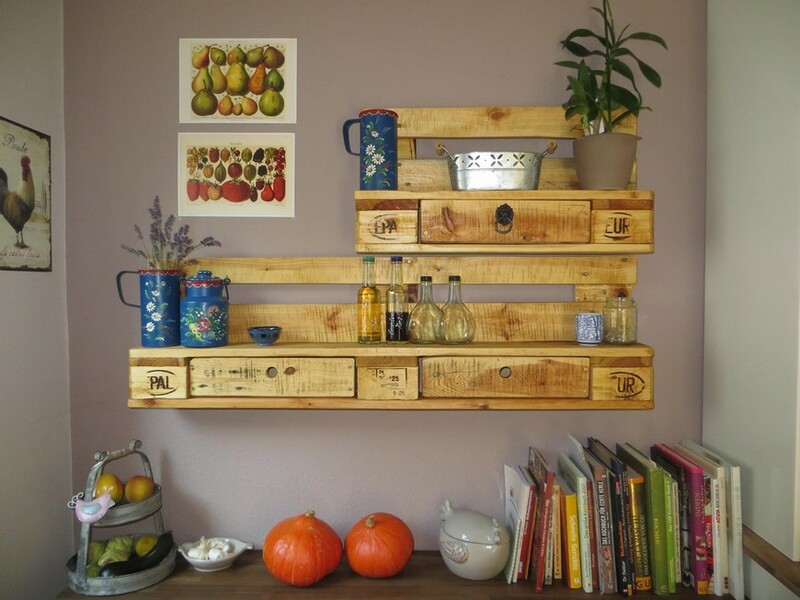 Today again we have brought a very tremendous idea of wood pallets kitchen spice racks. These would be simple yet very stylish and graceful wooden extensions that would be attached along the wall. From here we are displaying the way it would be attached to the wall. 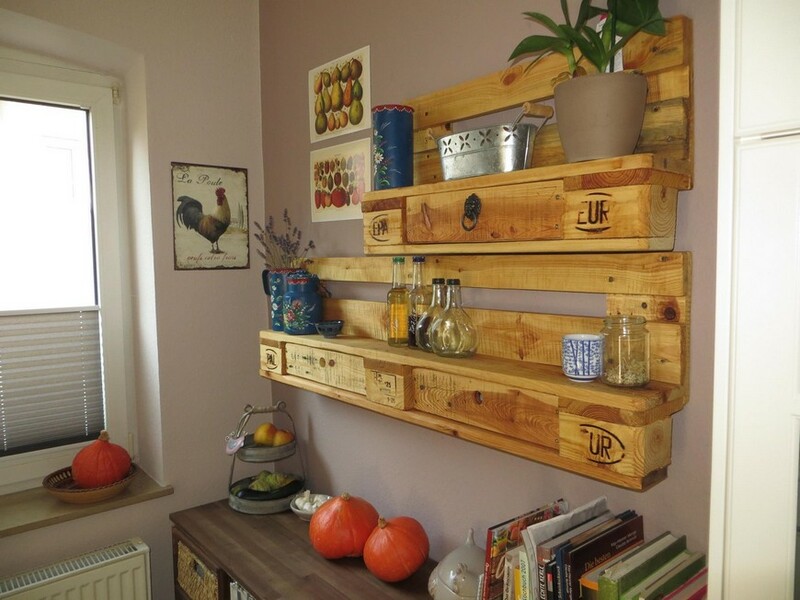 So apparently it seems like a common pallet wood repurposed wall shelf, but it isn’t just that simple as it seems to be. Like we have added many features in it that make it worth giving a try. The very first thing that is noticeable on the very first glimpse of the project is actually the quality of the shipping wood pallets that we have employed here. They are so damn fresh and clean and not at all so aged to harm the outlook of this kitchen project. One more thing that we had to make sure that they must not be contaminated in any form, like we needed some very clean pallets from the hygienic point of view as this was meant to be used inside the kitchen so we were very cautious while making the selection of the timber. 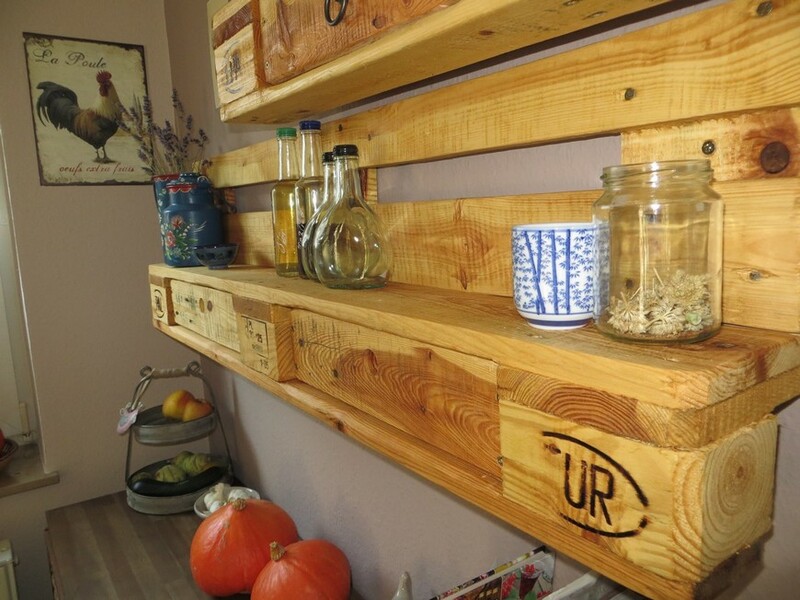 Now turn an eye to the design and shape of the kitchen spice rack. It contains all the spice jars and a couple of glass bottles carrying the kitchen related stuff. Other than these frontal shades the kitchen spice racks have also got the built in drawers too. 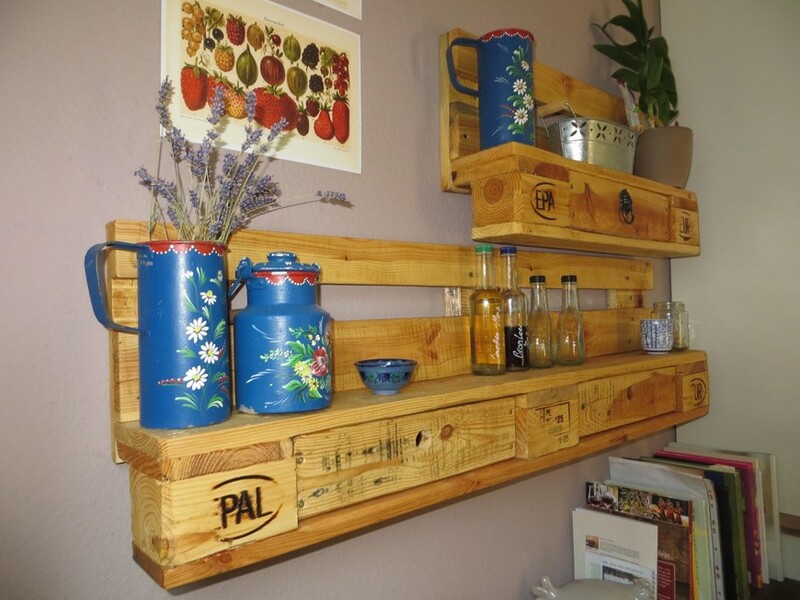 This multi layered wooden pallet upcycled kitchen installation made with the finest available material. Plus the design is also worthy all the appreciations as it not only provides the basic shades but also some built in space where a number of other accessories could be placed. While working in the kitchen and especially cooking, it becomes so messy to sort out the things that we need step wise. So from now to onwards atleast the arrangement of the spices is done. You would be able to grab the desired jar with just a little extension of the arm.